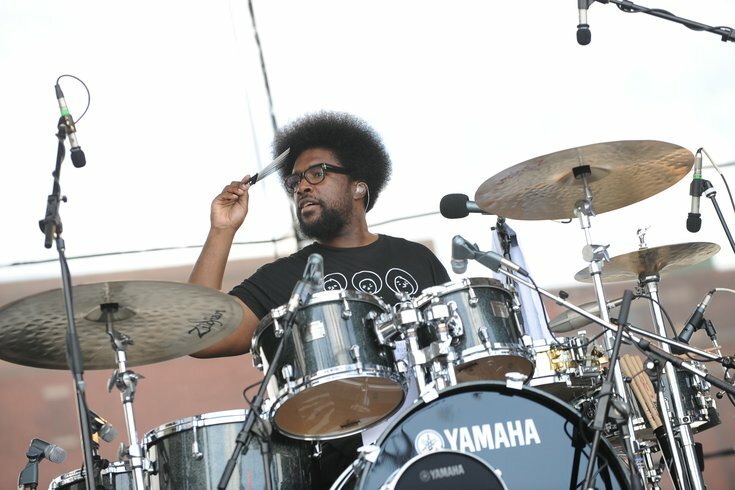 Ahmir “Questlove” Thompson of the pioneering hip-hop group The Roots adjusts his signature hair pick during the second annual Roots Picnic at Penn’s Landing on June 6, 2009. The 2017 Roots Picnic is almost here, and this year, it celebrates 10 years as one of Philly's biggest summer music events. Grammy Award-winning hip-hop band The Roots will be joined onstage by a star-studded lineup of DJs, rappers and singers on Saturday, June 3, at Festival Pier. This year's headliners are Pharrell, Solange and Lil Wayne. The full lineup includes Jeezy, 21 Savage, Kimbra, Thundercat, Michael Kiwanuka, Pete Rock, A Boogie Wit Da Hoodie, James Vincent McMorrow, Noname, Gilles Peterson, Playboi Carti, DJ Spinna, PNB Rock, Tunji Ige, Anthony Somebody of Quitehype, DJ N.O.C. and Black Thought & J. Period Live Mixtape featuring Fat Joe, Mobb Deep and Scott Storch. There will also be a new addition to the Roots Picnic this year. A second stage will feature fashion, gaming, lifestyle and culture. Tickets for the event are currently available. The concert will take place rain or shine. 601 N. Christopher Columbus Blvd.